If you’re looking for a friendly & attentive pup to welcome into your family, then consider Ethan! 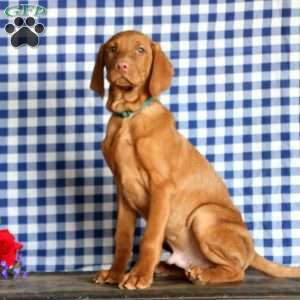 He is a handsome Vizsla puppy that has been vet checked, is up to date on vaccinations & dewormer and can be registered with the AKC. Ethan also comes with a 1 year genetic health guarantee provided by Levi Fisher. 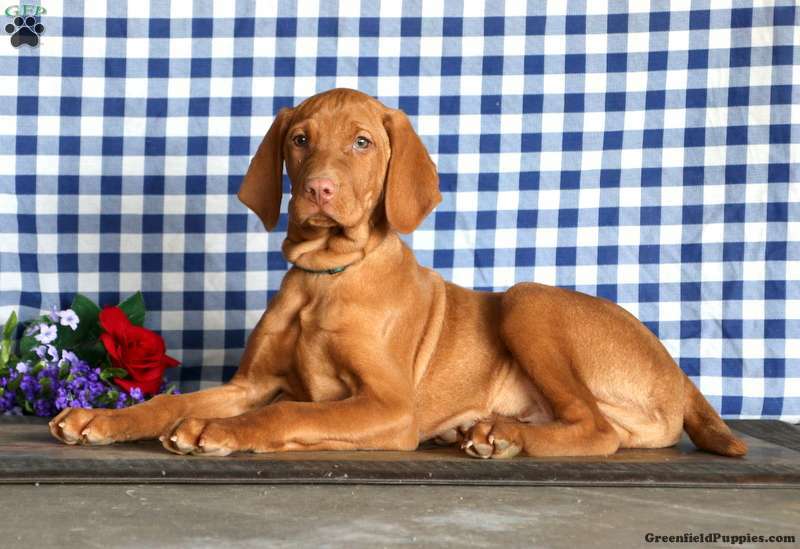 If you would like more information on this sweet fella, please contact the breeder today! Both parents are OFA Hip certified good. 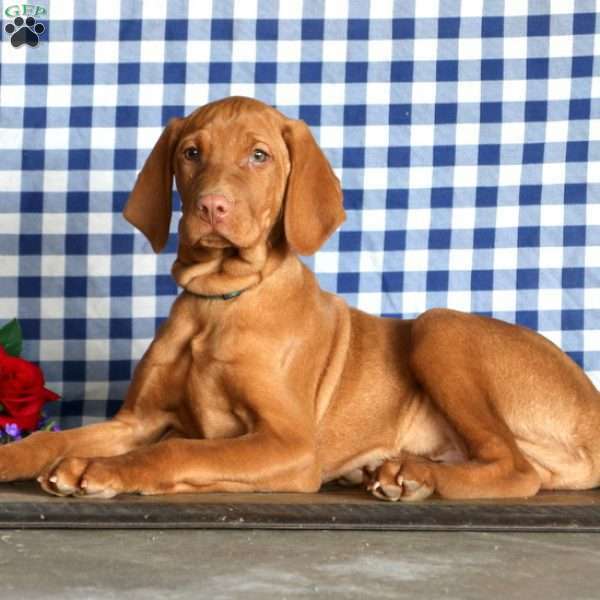 Levi Fisher is a breeder located in Honey Brook, PA who currently has an expressive litter of Vizsla puppies for sale. 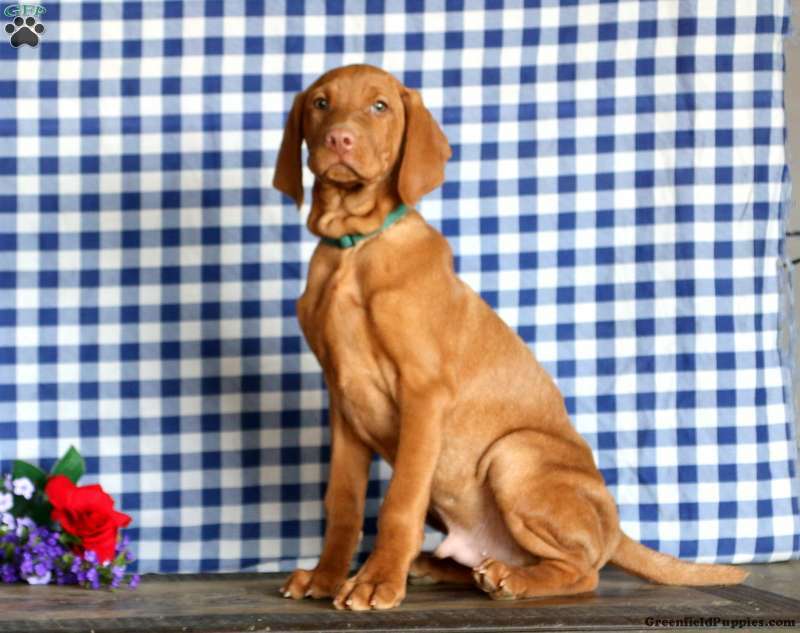 These sharp looking pups have been vet checked, are up to date on shots & wormer and can be registered with the AKC. For more information please contact the breeder.